“The passion of lovers is for death, said she”, croons Bauhaus’ lead singer and front man, Peter Murphy. Sitting here on my bed in 2017, I sigh and wonder how I’m born in the wrong era. 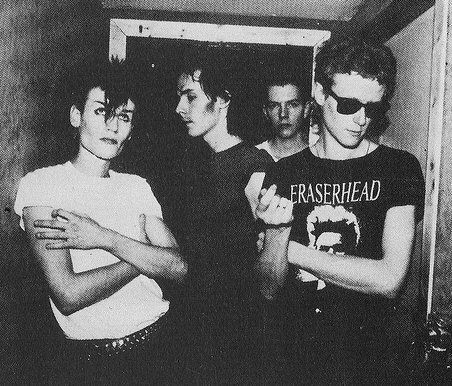 When you listen to Bauhaus for the first time, as I am doing right now, Murphy’s voice conveys a certain nostalgia that you immediately connect with, never mind the fact that you probably haven’t even experienced what he’s talking about. Their songs transport you to another time-span, a time without YouTube or auto-tune. Put simply, it is four men coming together and tearing apart their souls, all for the ever-so-worthy cause of music. Their sound, which can best be described as dark and gloomy, is reminiscent of an era gone past- an era where Goth clubs had begun to emerge, rebels identified their cause with music, and where punk evolved into post-punk. These rebels wore copious amounts of black, put on eyeliner like it was their religion, and came together to express their violent angst in the rawest form-music. And how did they do that? They simply put pen to paper, put their chaotic thoughts into words, explored the E-string, and came up with what can only be described as pure musical genius which prompted and pushed forward a musical revolution. Or was it a rebellion? Here I am, sitting and picking apart each and every song of theirs, and they’re breaking the rules in the simplest ways- their songs are not layers and layers of intricate work, oh no, not at all. It is rather an amalgamation of each instrument lending a touch of sadness and disillusionment to what can eventually be called a masterpiece. I’m not a fan of gothic rock but this was an interesting read! I love how passionate you are for their music!